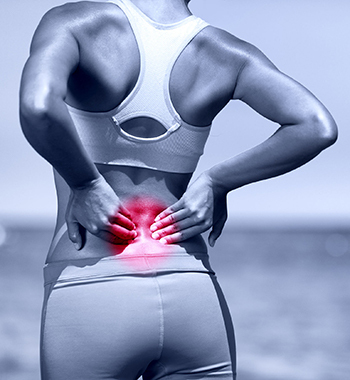 Back pain and discomfort can occur anywhere in the lower back, middle of the back, or upper back. It can be a result of nerve damage, muscular issues, arthritis, disc irritation or disease. Frustrating symptoms vary in severity and afflict individuals of all ages. The causes of back pain are hard to diagnose and harder still to know the right treatment. If you’re wondering where to turn when nothing else relieves your back pain, look no further than Neck and Back Medical Center. Whether you’ve been suffering from back pain for years or you just started noticing tightness in your lower back, we can help you achieve your recovery goals. At Neck and Back Medical Center in Laguna Hills, California, we will work tirelessly until we find your pain relief solution (without resorting to drugs or surgery). But we won’t stop there. Our expert medical doctors and therapists will work together to help you regain full functionality, range of motion, and comfort level. Plus, our state-of-the-art technology, like Med-X computerized back strengthening, serves as a secret weapon for your diagnosis and recovery. Our collaborative treatment method lets us find solutions in even the most complex cases. That’s why Neck and Back Medical Center is known for its ability to help patients who have repeatedly failed other treatment methods. Our rehabilitation programs and treatment plans are comprehensive and individualized for each patients condition. If you’re ready to tackle your back pain and return to your maximum level of mobility and comfort, schedule an appointment at Neck and Back Medical Center. Our physicians look forward to helping you feel your best, so give us a call at (949) 859-6600, or pay us a visit at our office in Laguna Hills, California. For more information, check out our website or send us an email at info@neckandback.net.